Essentially, custom audiences are designed to allow you reach your customers using Facebook ads. You can upload your list of phone numbers and email addresses (at least 20) and Facebook will deliver your ad to these people if they are on Facebook. Additionally, you can build a Facebook custom audience using the contacts of people who use your mobile applications as well as those who visit your website. It is always easier to sell your products and/or services to customers you already know, in comparison to looking for new ones. Facebook custom audiences, therefore, will enable you strengthen your connections, make more sales and increase brand visibility. It also compares your data with Facebook’s so that you can find more people you know. Consequently, in case you have customer data or a list of contacts, (such as their email addresses), you should be able to create your own Facebook custom audience. After that, Facebook will encrypt the information you provided to protect your business relationships before allowing you to reach even more people. If you have a mobile app that customers use, use it to collect some information from them. Facebook custom audience allows you to define your list using the names, phone numbers, email addresses, gender, date of birth, locations, Android’s advertising ID and IDFA (Apple’s Advertising Identifier). While using the Facebook UIDs (for instance, while specifying app ids), ensure that you comply with Facebook’s Policies. Remember, you should also accept the terms of service for custom audiences to be able to use the product. Facebook custom audience is an additional way through which you can reach a more relevant audience. It allows you to organically target fans, subscribers to your email list and other offline customers. You will also be able to broadcast your ads to people who visited your website. You can also use this amazing tool to isolate and organise specific visitors into pre-defined groups. This way, you will be able to focus on those who visited certain sections of your website, specific pages, and pages that included particular keywords. 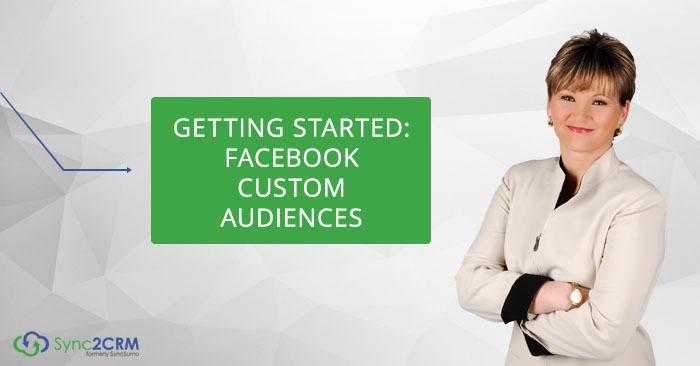 To create a Facebook custom audience, you should first create a blank audience. After that, you can add people to the group you just created by simply updating the users’ edge in the audience. Once you post the edge, the audience will be created. As mentioned above, you should use existing customer data to create the audience. Facebook allows you to create based on such things as interests, location, age, Facebook user IDs, phone numbers, email addresses, and mobile advertiser IDs, among others. Remember, the audience must have a minimum of 20 people to work. NOTE: The customer list should be a .CSV MS Excel file with a single data column and no heading. From your Facebook Ads Manager, click Tools’ at the top and select Audiences’. Then, click Create Audience > Custom Audience > Custom List’. Choose whether you would like to create from web traffic data, install / usage data from your game or app, or from an existing customer list. Start creating an ad using Ad Creation’. Then, click on Create New Custom Audience’ under the Who do you wish your ads to reach’ section in Create You Ad Set’. Select whether you would like to use web traffic data, app install/usage data, or a customer list. To create a Facebook custom audience using the Power Editor, click on Audiences’ from the editor, then Create Audience’ and select Custom Audience’. Then, choose whether you wish to create from a customer list, app/game install/usage data, or web traffic data. It usually takes close to 30 minutes for the audience you create to be uploaded to Facebook. Once the upload is complete, Facebook will notify you. In conclusion, Facebook custom audience is designed to make work easier for you. As a digital marketing specialist, use the above handy information to get more out of your advertisements by creating audiences using customer data at your disposal. Remember, it is usually easier to get your current customers to heed your calls to action than it is to acquire new customers.